As part of the 2019 Adelaide Festival, Sally Smart, one of Australia's most significant contemporary artists brings us The Violet Ballet from 2 Mar to 27 April 2019. You'll find this NEW installation at the Lion Arts Centre, North Terrace, Adelaide from 11am to 4pm daily from 2-17 Mar (Adelaide Festival Opening Hours) & 19 Mar - 27 Apr 2019 at the aforementioned times. Entry is FREE. Opening and Performance - Sat 2 Mar at 5pm. Curator's Tour - Sat 9 Mar from 11am-11.30am at ACE Open again, and you need to register for FREE tickets. Join Liz Nowell, ACE Open CEO and Curator of The Violet Ballet in an insightful 30 min tour of the exhibition. Auslan Tour - Sun 10 Mar from 12pm-1pm. A FREE event, but once again, you need to register for your free ticket. Auslan users are invited to attend a guided tour with an accredited Auslan interpreter for deaf and hard of hearing audiences. 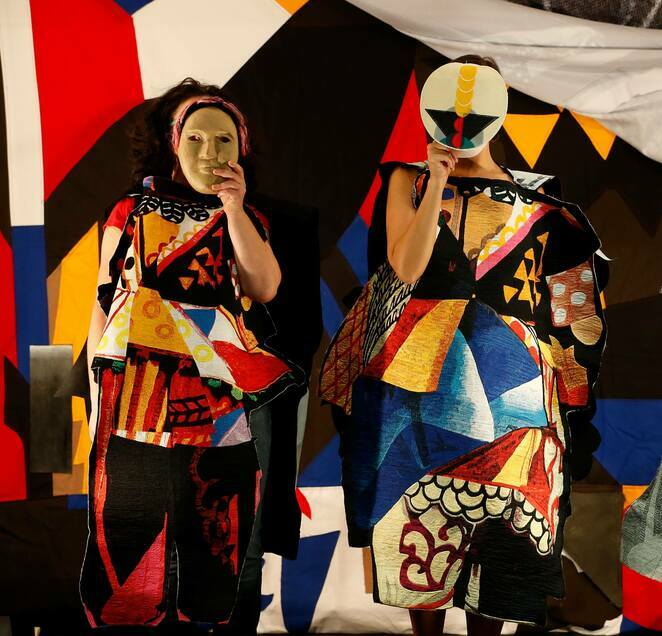 You could also make a day of it by catching the tram to the Art Gallery of SA for an Auslan interpreted tour of theAdelaide Festival exhibition Quilty that's also FREE and runs from 2-3pm. THE VIOLET BALLET - a NEW immersive installation from Sally Smart who has a world-renowned career spanning more than three decades. Widely known for her large-scale, richly-coloured assemblages, this installation extends on her distinctive practice; examining the extraordinary legacy of the Ballet Russes. In particular, the macabre dance piece Chout aka Tale of the Buffoon, alongside traditional, the Indonesian Wayang character Punakawan. Using textiles, costumes, dance, film and shadow puppetry, The Violet Ballet presents a dynamic mise en scène, bringing an avant-garde performance into conversation with the entwined legacies of colonialism and orientalism. Smart is increasingly recognised for her practice that engages identity politics and the relationships between the body, thought and culture, including trans-national ideas that have shaped cultural history. The recipient of countless awards and prices, she is currently Vice-Chancellor's Professorial Fellow, University of Melbourne, and board member (Deputy Chair), National Association for the Visual Arts (NAVA).